BMW hasn’t stopped being conservative with the M5’s power output now the new all-wheel drive version is here. The old F10 was famous for producing far more than its 552bhp official output (many made more like 600), and sure enough, the discrepancies are continuing with the ‘F90’. 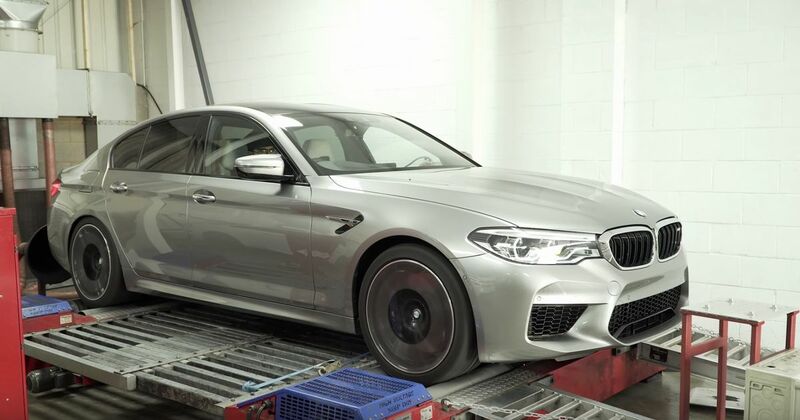 Its 4.4-litre twin-turbo V8 supposedly makes 592bhp at the crank, but in this dyno test from tuning firm Evolve Automotive, an F90 is seen developing 631hp (624bhp). That’s not quite as dramatic a leap as we saw in another dyno video posted earlier this year - which resulted in 625hp at the wheels - but still, that’s impressive.